Alfawise H96 Pro+ TV Box Review - A Retro Beast With 4K Playback! 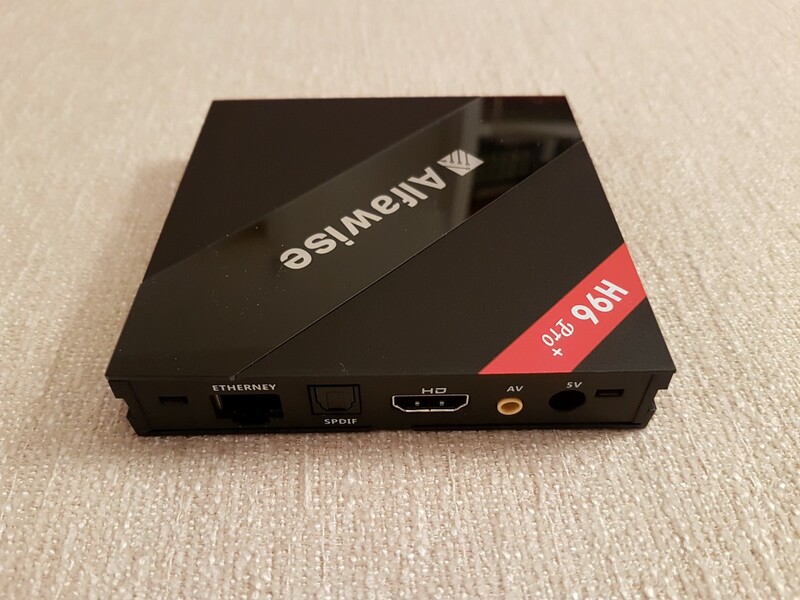 Home>Android Tv Box>Alfawise H96 Pro+ TV Box Review – A Retro Beast With 4K Playback! 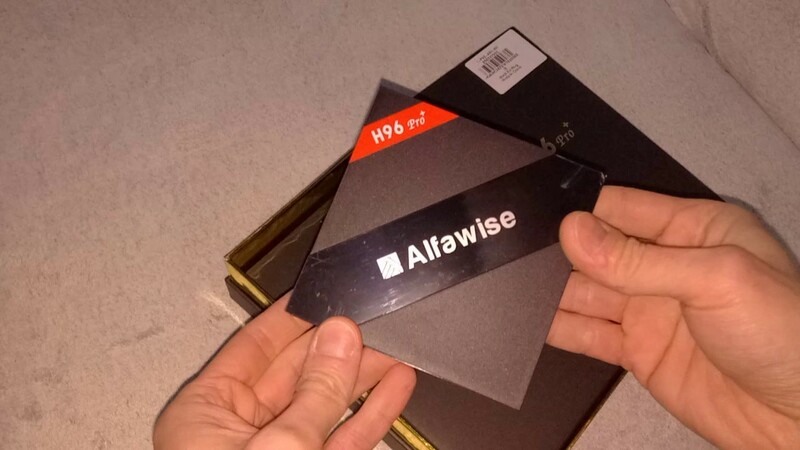 Alfawise H96 Pro+ TV Box Review – A Retro Beast With 4K Playback! Android TV boxes have been claiming too much of response from all the corners of the globe lately. 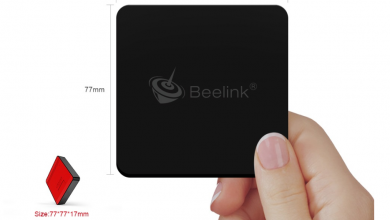 It has got the functional capability to transform any TV into a Smart TV. Hence, people seems to have got pretty much interested in investing in the TV boxes, rather than TVs. Alfawise always has a special place in the sector of the TV boxes. Its H96 Pro had been the best-selling TV box, for more than a while earlier. Now the company has introduced a new one in that line, the Alfawise H96 Pro+ TV Box, with a refreshed set of amazing specs and features. We’re going to walk through its looks and performance, but we’d like to put it out at first: It is the first ever Android TV box, featuring 3GB RAM. Also See: SAMMIX R95S TV Box Review – Miracast & UHD Playback under $40! Alfawise H96 Pro+: Changing A Simple TV To A Smart Beast! When it comes to design, Alfawise H96 Pro+ has got some new refreshments. The device sports a glossy black plastic body, though an aluminum metal body would’ve been better. But however, no complaints, it looks neat and decent. A diagonal stripe bearing the brand name Alfawise, runs across the top, while another stripe with the device’s name is set at the top left corner. Furthermore, a single blue color LED is configured, along with options for turning it off. This is totally in contrast with the previous launch from the company that featured a LED border light. USB ports are placed on the side, rather than at the back, where it usually be. But, only two of it are put-up. At its back, we could see an Ethernet, HDMI, SPDIF audio, AV, and power ports, set right. Air grilles are placed under, to avoid heating issues. 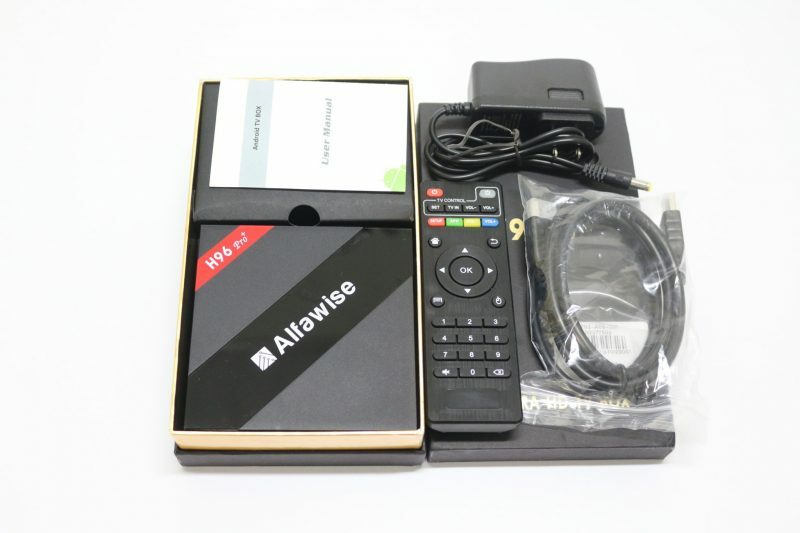 Moreover, if you’ve used an Alfawise TV box already, then its remote would be familiar to you. Yes, the same old console. 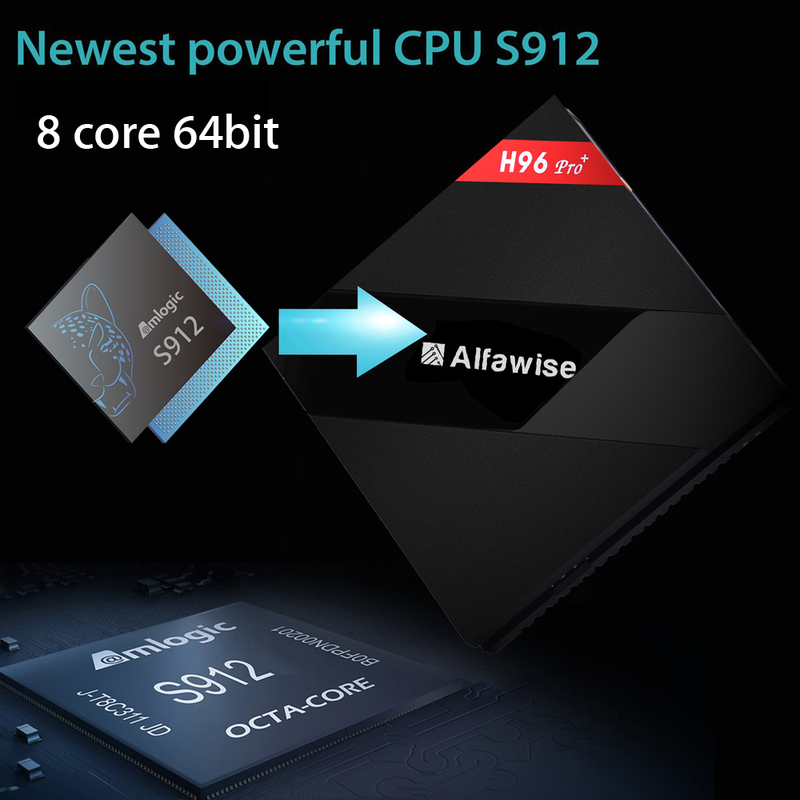 Moving on to the specifications, we could find the Alfawise H96 Pro+ being driven by Amlogic S912 Octa-Core processor, coupling 2GB/3GB RAM. With this arrangement, it delivers a snag-free, smooth performance, while switching between apps, watching videos and menu transitions. Naturally, with the 3GB RAM, you can experience the best of best. The Alfawise H96 Pro+ TV Box, comes in three different variants, based on the memory aspects. This time we have many options including 2GB RAM with 16GB storage; 3GB RAM with 16GB storage; and 3GB RAM with 32GB storage, accordingly. Further, its Dual-band Wi-Fi and 1000M LAN can exploit your internet connection to the best. 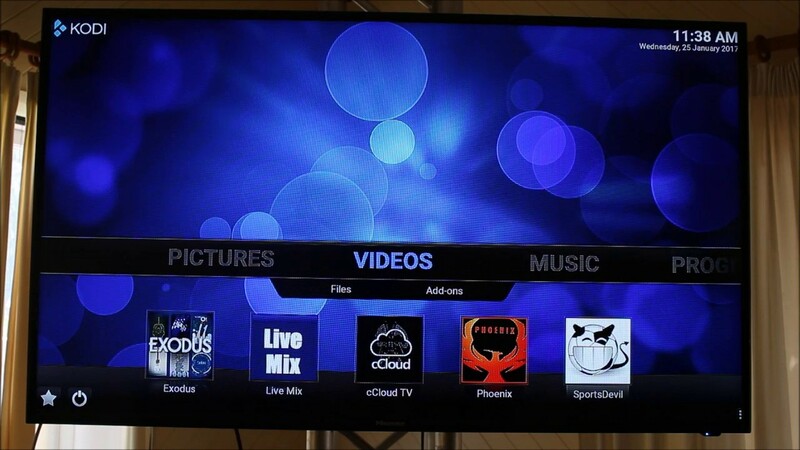 The OTA support renders an ultimate multi-device entertainment experience, apart from the USBs. On the software front, it runs on Android 7.1 OS, which again makes it the first-ever, besides the 3GB RAM. It further supports Bluetooth 4.1 for connecting various accessories at ease. 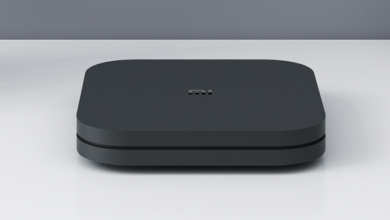 If you’re planning to buy this new Android TV box, there is one of the prominent disappointment you’re potentially going to face. Yes, the Alfawise H96 Pro+ isn’t coming with Android 7.1 Nougat, out-of-the-box. 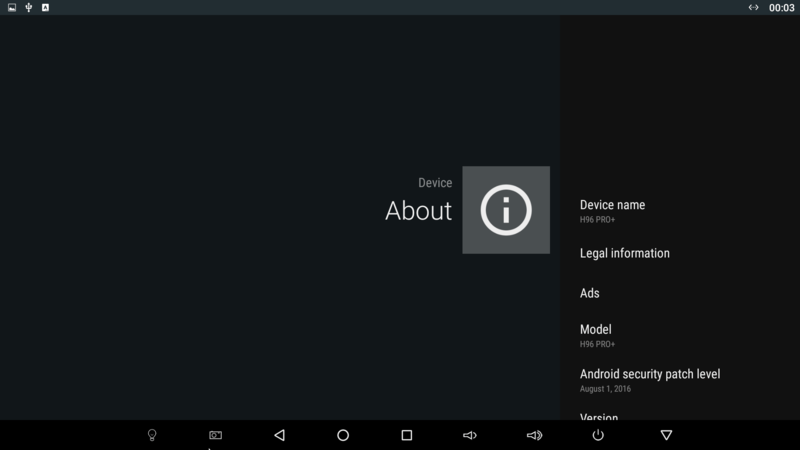 It still runs on the Android 6.0 Marshmallow, but there is a set of instructions given together that takes you through the steps to upgrade it to the newer version. Though it is easy to do, we were still expecting the 7.1 said on the specs while turning it on. 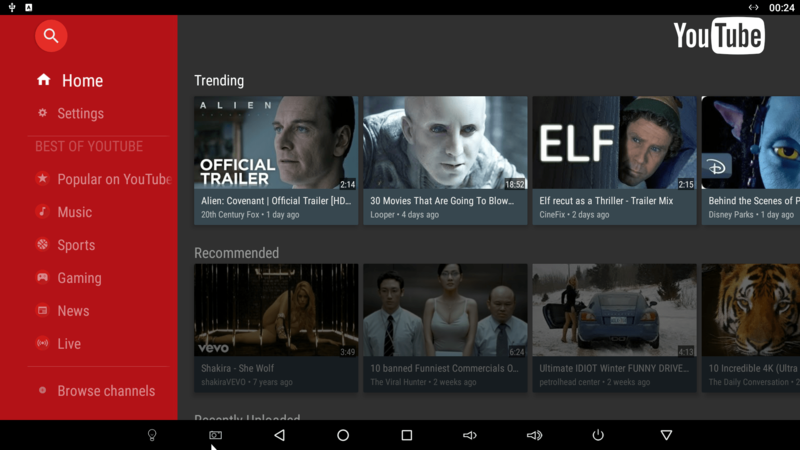 But interestingly, the new device makes it up with the Kodi app, what it missed in the OS. 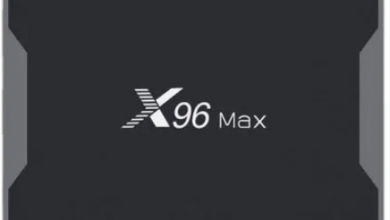 It comes with the Kodi 17.0 Krypton, an upgraded one, from its predecessor H96 Pro (Kodi 16.1). 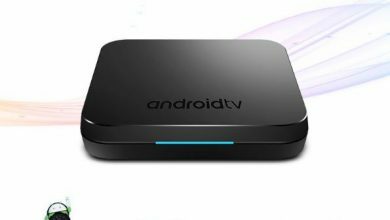 Update: The TV Box now comes with preinstalled Android 7.1 update and available via OTA for the old users. To be honest, we had pleasantly tried out many different things, which includes playing games, watching 4K movies, surfing the internet, etc. with the Android TV box. Of course, we admit that everything works precisely as they are meant to be. Let’s have a detailed look on them. While testing, we played quite a bunch of retro games and even the new-age strategy games. The device superbly renders the graphics, no hiccups or snags. 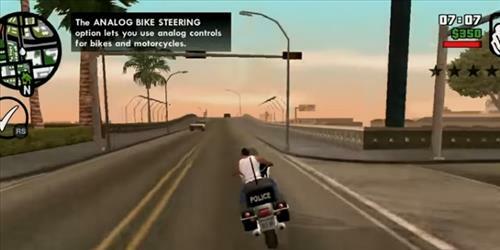 We could say, it is no less than any modest gaming console of recent times. Then again, personally with the retro games, all the reminiscences are giving a pleasant moment with this Alfawise HD Pro+. As previously mentioned, the extra RAM is shrewdly helping the gamers to play more games on the Android Box. 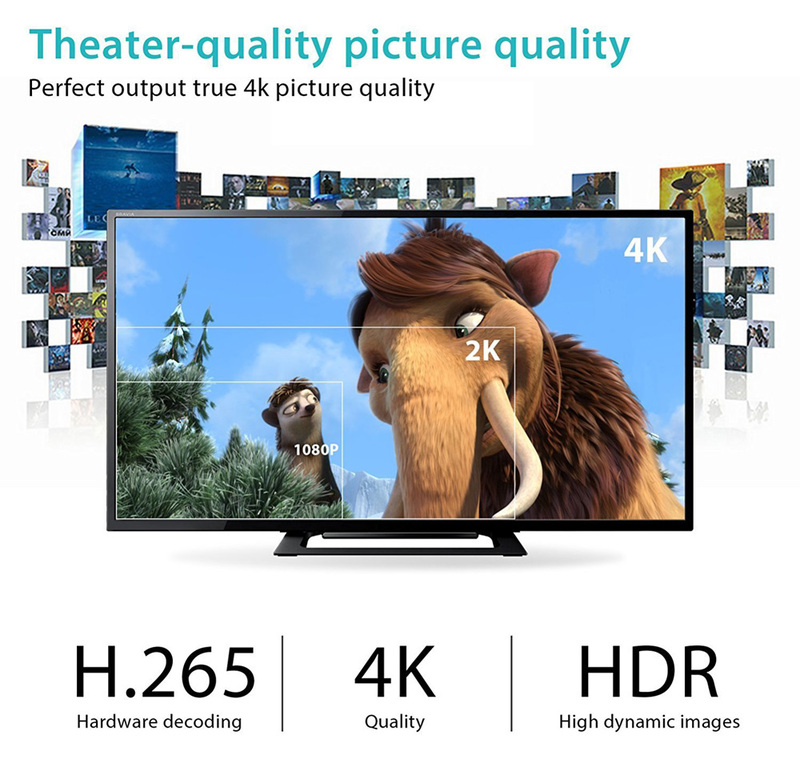 We are happy with its performance when it comes to watching movies. Moreover, with the help of Kodi, we can watch movies in a home theater effect. However, it is loaded with all the popular add-ons, such as Exodus, Phoenix and so on, which are at times encumbering, yet very useful. It charms and works without any lags, almost all the times. Facebook, FIFA 16 UT, FileBrowser, GeekBench 4, Gmail, GoLive, Media Center, Kodi, Miracast, Mobdro, MoviePlayer, Netflix, PPPoE, QuickSupport, and much more. At the Geekbench, the device hits 457 points on the single core performance test and 2226 points on the multi-core. 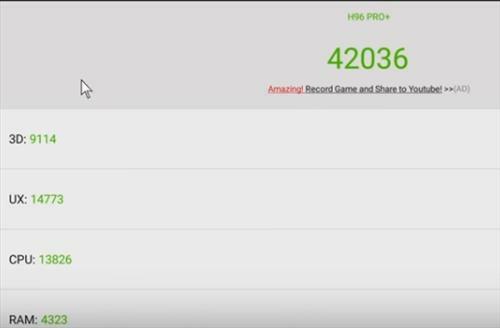 On the other hand, the AnTuTu CPU benchmark test rewards it a score of 42036 points. In our point of view, this is nothing new to the competent S912 CPU. The real tricky benefit of the H96 Pro Plus box is its 3GB RAM and high-speed Wi-Fi. But don’t fret, we had also done a Wi-Fi speed test, and the results are very impressive. Here we are giving you the speed test snapshot. Have you seen the image? At 5GHz, the download speed is 196.81Mbps, while at 2.4GHz, the speed is 47Mbps. 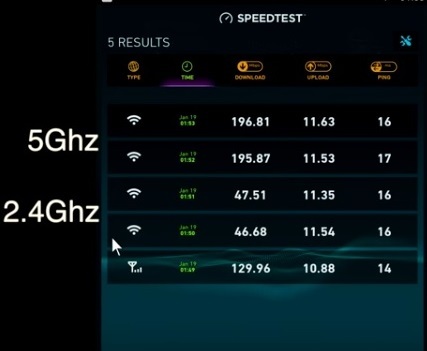 Yes, with this as a proof, we’d say that it will give out outstanding internet speeds, for an Android TV box. Eith the AlfawiseH90 Pro+, you will receive all the usual set of equipment. Remote Control, Power Adaptor, User Manual and HDMI cable, everything packed in a fancy box. The package gives a premium feeling and is eye catchy too. Probably, the Chinese manufacturers are generous. Attention: The internal data of table “191” is corrupted! On the whole, the Alfawise H96 Pro+ TV Box is one of the best Android TV boxes available today. Moreover, most of the manufacturers usually don’t put much effort into the design of the TV boxes, as they mostly remain hidden inside the TV stand. But the H96 Pro Plus is quietly different, its stylish design with a cool LED at the front, adds to the style quotient. 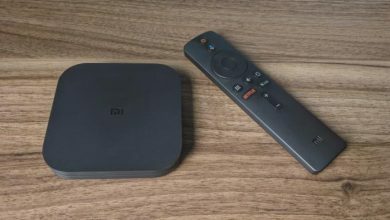 If you’re planning to buy a TV box soon, then this one will deliberately be in the first place, in your prospected list. If you’re interested in purchasing Alfawise H96 Pro+, you can buy it from Gearbest for a price of only $58.99. We would like to end this review by giving you the link to the store. Use the coupon code of GBH96PD. You apperntly dont know the Shield TV exist. It has both. Yes, we have checked via OTA updates that the Android 7.1 update is available now. The manufacturer has mixed units with Android 6.0 and Android 7.1. They send them randomly but not in the case of Gearbest. what does it mean “external subtitles” not allowed? watching a movie i cannot see subtitles with VLC, if they are available?